The 2019 Northern Area Western Conference features nine session categories and four discussion forums across three parallel tracks. We are also happy to announce Brendon Rowen and Jeff Didas as Keynote Speakers for the conference. Click on the each Session, Forum, or Speaker to learn more. Sustainability has become a widespread driver of institutional management transformation. Prioritization and optimization of corrosion management as a means for enhancing materials sustainability should be part of this transformation. An important framework that has been introduced by William McDonough and Ellen MacArthur foundation is the circular economy, and the related idea of cradle to cradle. Materials integrity and methods to assess materials integrity are crucial enablers of this new economic model. This symposium contains technical papers on integrity management plans and procedures, integrity management case histories, nondestructive evaluation (NDE) and inline inspection (ILI) case histories, NDE and ILI cutting-edge technology developments, coatings and cathodic protection issues and case histories specific to pipelines, and the uses of crossover industry technology in pipeline integrity management. This symposium also contains technical papers that cover direct assessment, new technologies, methods, and case histories in the areas of external, internal and stress corrosion cracking. This symposium contains technical papers about cathodic and anodic protection for pipelines, oil/gas/water transportation, and storage/distribution systems. This symposium contains technical papers where chemical additives have been developed or used to control corrosion in challenging environments, including case studies/histories associated with oil and gas production, water, and wastewater treatment, and other industries. This symposium contains technical papers about corrosion control methods in oil, gas and storage wells. This symposium contains technical papers devoted to corrosion, and degradation mechanisms as well as to the methods, models, software programs used to study and elucidate these mechanisms. This symposium contains technical papers about asset integrity management, aging facilities or facility siting, including latest industry strategies, best practice, research, lessons learned and innovative thinking surrounding the wide range of issues that affect oil and gas assets. This symposium contains papers on asset integrity and corrosion issues relating to utilities and infrastructure. This symposium contains papers on determining effectiveness, performance criteria, and quality needs of coatings and lining materials used for corrosion protection. A short presentation on the Young Corrosion Group (YCG), a group within the Australasian Corrosion Association (ACA). The YCG was formally established in 2006 in response to an identified gap in experience and knowledge of the industry amongst the younger members of the ACA. The presentation will outline the aims, successes and challenges that were faced by the ACA YCG in its way to becoming a successful, vibrant group. NACE would like to adopt that successful framework to Canadian operations. A discussion on what are the main needs by the younger members within the Canadian corrosion industry, and how NACE can satisfy those needs. Some of those differences in needs are different between student members, recent graduates, new apprentices/journeymen and other young-at-heart professionals new to the corrosion industry. What is your organization’s definition of a Management System? What type(s) of Management System(s) does your organization use (internally or externally) and what is it’s purpose? What benefits and challenges have you experienced with the Management System(s) you use as it pertains to sustainability? The materials sustainability forum is designed to explore overlap between the topics of corrosion management and the circular economy. The circular economy is a new economic model that is dedicated to the production of ‘closed loop’ product lifecycles through a heightened focus on design for reusability, repair, remanufacture and recycling. Corrosion in many ways is one of the enemies of the circular economy as it degrades asset integrity and can undermine opportunities for product re-use. In this forum we will explore the significance of corrosion management and “design for corrosion” as elements of future circular economies. 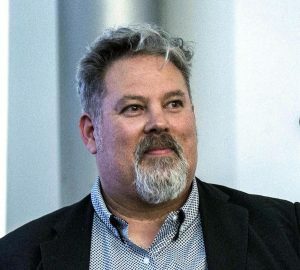 Brendon Rowen is Director & Co-Founder of Cradle to Cradle® Marketplace, the world’s first global online consumer facing & B2B portal specialising in providing access to C2C Certified, Circular Economy ready Products, Services & Consultation under one roof. Brendon heads the Cradle to Circular Design Consultancy division of the C2C® Marketplace, consulting with government organisations, businesses, manufacturers and individuals on Cradle to Cradle® design, adoption and implementation in support of global Circular Economy strategies. Along with global partners MBDC(US), EPEA(EU), C2CPII and numerous others, he inspires and innovates Circular Economy activity with the implementation of the Cradle to Cradle® Design Framework in the UK and globally. For Brendon, the burgeoning Circular Economy movement and its activities have the potential to evolve our current wasteful, sometimes thoughtless linear model to a more resource abundant, economically flourishing and ecologically responsible model. Organisations Brendon has worked with include Barclays Plc, PWC, BT Plc, Noble Environmental, Brabantia, Dutch Embassy London and Volans. Mr. Didas is a senior corrosion engineer with Matcor, Inc. and the current 2018-2019 NACE International president. He has been a member of NACE for over 40 years and served on the NACE Board as Treasurer 2009 to 2013. Didas has been active within the technical committee community since the late ‘90s and holds several NACE certifications – corrosion specialist, cathodic protection specialist and certified coating inspector – to name a few. He has published many conference papers and presented oral presentations at many area conferences and short courses. He has received the NACE Distinguished Service Award (2001) and NACE R.A. Brannon Award (2014) in addition to the AUCSC General Chairman Plaque (2005) and Colonel Cox Award (2010). Mr. Didas earned his ASEE in industrial electronics technology degree from Springfield Technical Community College (Springfield MA) and BSET in electrical/ electronic engineering technology degree from Thomas A. Edison State College (Trenton NJ). © 2018 NACE CALGARY. All rights reserved.